Trimensional Furnaces in Minecraft, for a more realistic look. 3D Furnace 1.7.2 and 1.7.10 is a mod converting furnace Minecraft a “three-dimensional object”, ie instead of having a texture on its six faces, the block now displays the contents inside the furnace itself , obtaining a much more realistic look. 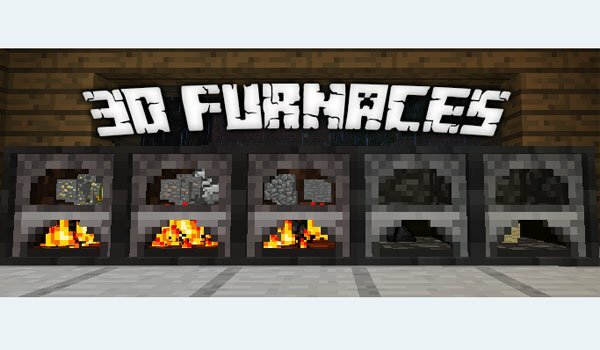 In these new furnances you will se how the coal is burned inside the furnance, while at the top slot you will see the objects that have been cooked or burnt. If you press Shift + right click, you will get the contents of the oven. How to install 3D Furnace Mod for Minecraft 1.7.2 and 1.7.10?